their 2017 New Year’s resolutions. This is what people said. 2016: Celebrating ten years of Vocation matters, our user led project. Winning an award from the British Institute of Facilities Management for social impact and our work training project being recommended by the New Economics Foundation, as a model for significant expansion. 2017: To be passionate students of all things creative and good- continue learning how to facilitate the conditions that help people find their own way forward, to achieve their goals. 2016: I don’t remember a resolution last year and although for various reasons my involvement with the Collaborative has had to take a back seat it’s been great seeing the work forge ahead and continue to be creative. It’s been a privilege also to work a whole range of people who are fired up to change outcomes for Lambeth people with mental health problems. The Collaborative really is doing something amazing! 2017: As I look forward to being ‘retired’ in 2017 and being able to spend some very welcome time with friends and family and in the garden, my resolution is to work out how to continue to use my public health experience in whatever way I can for Lambeth people and to try my best as a citizen rather than an employee to ensure the new Lambeth Public Health team continues to carry a torch for mental health and wellbeing. 2016: It has been wonderful to see our collaboration recognised in a number of awards this year. The most powerful acceptance speech included the mum of someone we support within IPSA (Integrated Personalised Support Alliance) saying that after many years of hopelessness she now has her son back. They both have regained hope in a life beyond the mental health system. 2017: My resolution for the year ahead is that we can continue to inspire hope for more people, challenging each other and the system to deliver the outcomes that really matter to people and local communities. 2016: We have made considerable progress in further developing the Living Well Network Hub and the IPSA this year. I have been particularly impressed with the change of culture in the Hub of removing traditional eligibility criteria access to services so people can come for support when they feel they need it. 2017: I would like to see more progress in a wider system approach, where we are able to practically support each other across traditional boundaries and structures so that particularly people with complex needs can be supported in their recovery. 2016: To have personally and collectively come through a strange and challenging year, and continued to develop and start to deliver a vision for health and wellbeing in Lambeth. 2017: I expect 2017 to be an even more challenging year, to which the response must be to come together and stick together as there is so much still to do. 2017: My New Year Resolution is to “to talk less, listen more and ‘be’ resilient”. 2016: We saw an expansion of the availability of the Evening Sanctuary from three nights to five with very positive feedback from the people who used the service. We also saw record numbers of people using the information service (924) and having troublesome issues resolved as a result. Partnership working continues to blossom and has meant that more people are getting into mainstream education and have had the opportunity to experience the world of work, both in transitional employment roles and in supported and independent roles. These are life changing opportunities that we have celebrated with organisations such as Public Health England, Morley College and the Living Well Network Hub – thank you so much to them and many others. We were extremely proud to receive a national governance award in recognition of the changes that took place when we set up the Living Well Partnership in Brixton. 2017: We will be stretching ourselves once more to continue to increase our successes with young people in Lambeth (16 – 25 year olds); we will also have more education and employment opportunities available for all as we continue to forge new partnerships in and around the borough. We want more people to be aware of the Evening Sanctuary and consider it a safe space to find support that could prevent an escalation of their situation into a crisis that then requires a stressful admission. 2016: During the year we have seen a lot of the collaborative’s ground work over the past few years come to fruition. Many inspiring stories about people moving toward independence through IPSA and the large numbers of people accessing support via the Living Well Network provide strong evidence for our holistic collaborative approach. 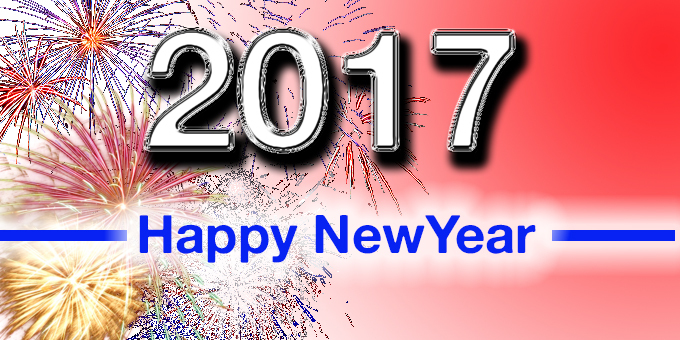 2017: That we continue to build on our positive progress and seize the opportunities to achieve whole system change (e.g. Whole system alliance) which will mean many more people will benefit from our holistic asset based approach. We will also continue to work with others to realise the benefit of some of the big “enablers” available to us including “digital” and “collaborative leadership” with communities. 2016: Healthwatch Lambeth was proud to be a part of the Black Wellbeing Partnership and we look forward to continuing with this work over the next five years. 2017: Our resolution is to continue to work with local people to identify the things that help them to keep well and to share this learning with providers and commissioners of mental health services. 2016: The achievement – being able to buy flats has meant that people can move out of long term institutional care into a home of their own through the BRiL (Brokerage & Resettlement in Lambeth) project. 2017: I’m wanting to make the way that we are working more ordinary… collaboratively to design and implement new ways of working that put service users at the centre, expecting services to work around them rather than the other way round and expecting these services to work together effectively – to be the way that we can expect services to work, rather than something different or exceptional. For the New Year, I’d like to see us doing more of this, and thinking about how we can make sure that people who use or have used services can participate in delivery. 2016: We saw a lot of people at the Living Well Network Hub in our first year and have reduced the numbers of people needing secondary care. We changed the way we first meet people by introducing a 15 minute initial conversation so that everyone introduced to us gets an opportunity to explain what they would like support with and tell us what assets and strengths they have, before we decided together what the best support is. 2017 – I would like us to support people to use their assets and the assets of their local communities more to build stronger, meaningful networks. I want us to show that we are facilitating a service that provides good outcomes for people to demonstrate to funders and communities that supporting people earlier and using an asset based social support model, rather than just a clinical service is better for people’s health and well being as well as cost effective. 2016: This year we ran a new venture called Trading Places which was a great success enabling us to promote the work of FST and that of our partners in the Collaborative. 2017: Looking forward to seeing the Living Well Network grow and expanding the range of opportunities for people in Lambeth and beyond.